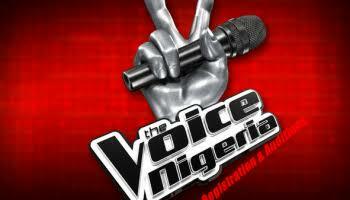 Viewers of Nigeria's biggest singing reality show, The Voice Nigeria proudly sponsored by Airtel, continue to express excitement on the array of talents that have performed so far on the on-going Season 2 of the Blind Auditions. Many are waiting to also see more brilliant performances as the competition get tougher in episode 4. The fourth episode of the competition will be aired on Sunday, July 9, 2017 at 20:00 CAT on Africa Magic Showcase (DStv Ch151) or Africa Magic Urban (DStv Ch153). In the third episode, #TeamTimi picked Blessed Eke and Godwin Bada, while Obichi Marshall was joined by 4-Chair-Turn on the night, Arewa Comfort on #TeamWaje. Joy Ebiem and Torisheju Ogbe got to ride with #TeamYemi and finally, Emmanuel Okafor and Tama Nisa both got skylevel passes on #TeamPatoranking. #TeamYemi currently leads the pack with seven talents, while #TeamTimi and #TeamPatoranking have six talents each. #TeamWaje comes in with five talents and this means all four Teams have technically filled out about half of their allotted slots. With only two Blind Auditions to go, the masters have to make the right decisions when the show returns on Sunday as they don't want to be sitting around on the final Blinds, with no option to turn. Will they fill both spots this Sunday or will they hope their best will be in the last Auditions? We'll have to wait for Sunday at 20:00 CAT to find out. Airtel Nigeria is supporting The Voice for the second year as part its commitment to youth empowerment and talent development in the country.